Hand out this personalised Easelpod - Slim item at your next trade show and it is sure to be a popular item. 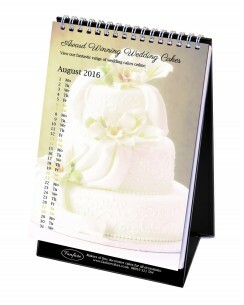 The month-to-view calendar is printed on white 300gsm card along with your branding, and it is a self-standing device that will sit happily on any flat surface. Secretaries, personal assistants and anyone else who is responsible for booking dates will find it very useful. We will print your logo onto this item via litho or digital printing. Print area Template available on request.